Well it’s been a strange old ten days, from Sparks to Napalm Death via Suzy Quatro and Kid Creole, but today we nominate our final and best tracks. Remember the mission was for each of us to each select ten tracks that make us smile, that give us pleasure, that appeal to the ‘id’ rather than the ego. This is the track that never fails to bring a smile to my face, partly because of the impossibly infectious techno-funk dancefloor rhythms and hip hop groove but mainly because of the sheer audacity of wearing a voluminous codpiece ! Definitely a classic in terms of how often it has been sampled – the bassline, not the codpiece. I am a sucker for a great bassline. That would make a great list, great basslines, but probably one for the musos. Kiss?! Hmm, perhaps it’s just as well this is now coming to a close, as it’s all getting a bit silly, with the possibility of eurovision winners Lordi becoming ever more likely. Mr Blue Sky, on the other hand, is a very worthy number 1, and although cover versions are rarely as good as the original, the Delgados version comes pretty close. So, all that’s left is my own number 1. 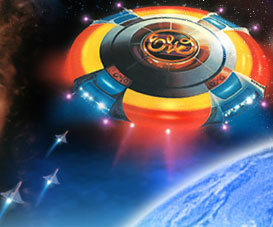 As with Richard’s love of ELO, I have also chosen an artist who I have many albums by. Although rarely played these days, they nevertheless formed a large part of my listening in the late 70’s and early 80’s. This particular track gained widespread popularity, summarising as it did the main historical events and characters of the previous 40 years succinctly into 4 minutes. Of course, I’ve always been a bit of a sucker for a “list song” but if that doesn’t put a smile on your face, then nothing will! List songs, now that’s an idea…. I’m not sure Roy’s Cameo clip has loaded properly, I will try to fix that when next at my Mac. Thanks all it’s been a pleasure (pun intended) I will compile them all into a single post next week. Oh and talking of Lordi , happy Eurovision everyone. Never heard the Delgado’s version of Mr Blue Sky before – much better ! Maybe we can do top ten accessories in music next time – of course Cameo’s codpiece would figure highly but Andrew Eldritch’s cane would also be a serious contender.